Want to be a police officer? 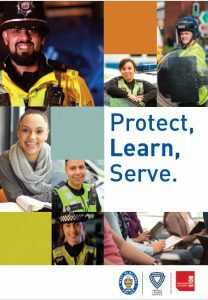 Entry into the service has changed – and West Midlands Police is one of the first to recruit student officers to study for a degree, or a post graduate diploma, while they train. The whole programme for our new recruits has changed. We are partnering with Staffordshire University to train our students, while helping them to earn a degree or postgraduate qualification, which will be recognised internationally. Your formal training will take place alongside your practical work in one of our many policing teams across the West Midlands. After a few weeks learning the important stuff, you’ll get your uniform, join a team, and begin three years – or two if you join on our graduate programme – of practical learning that will shape your police career. Most of your learning will be done digitally. You’ll log onto University systems and watch lectures and access learning modules from your computer, without needing to travel to campus. When you’re not studying you’ll be part of our team, joining colleagues to police our local communities, responding to 999 calls on the frontline or in one of our investigations teams, helping to solve some of the most serious crimes and catch those responsible. All of this comes with a salary of £21,000 for those joining our degree programme, or £22,000 if you already have a degree and are joining our graduate programme. The degree or postgraduate diploma is totally funded. Plus there’s loads of benefits, staff associations, social clubs and the pension to consider. Policing the West Midlands is diverse and fast-paced. We’re the second biggest force in the country and we cover the UK’s second city, as well as other busy towns, cities and villages. Careers with us are varied and demanding – but exciting too. From major incidents to community policing, every day is different and with events like Coventry City of Culture 2021 and Birmingham hosting the Commonwealth Games 2022 to look prepare for, a career with WMP has lots to offer. There’s no catch. So, what’s stopping you?